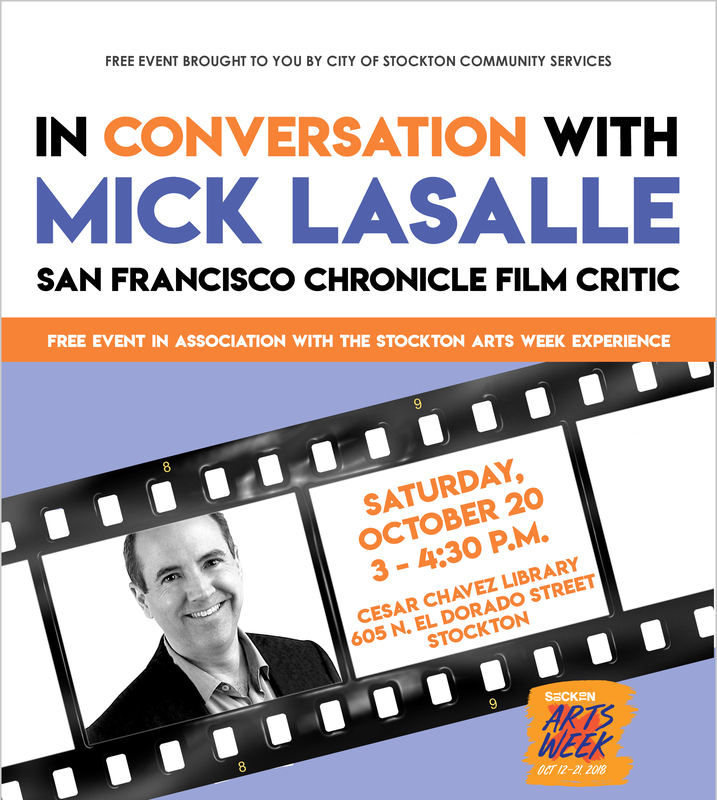 Join Mick LaSalle and the Director of Community Services, John Alita, as they have a conversation about movies, acting, and directing to celebrate Stockton Arts Week! Mick LaSalle is a well known film critic for the San Francisco Chronicle, producer, and author of two books on pre-censorship Hollywood. Join him and the Director of Community Services, John Alita, as they have a conversation about movies, acting, directing and more! This event is part of the Stockton Art Week Experience!